I was a big fan of the circus growing up...until I saw the clowns, that is... 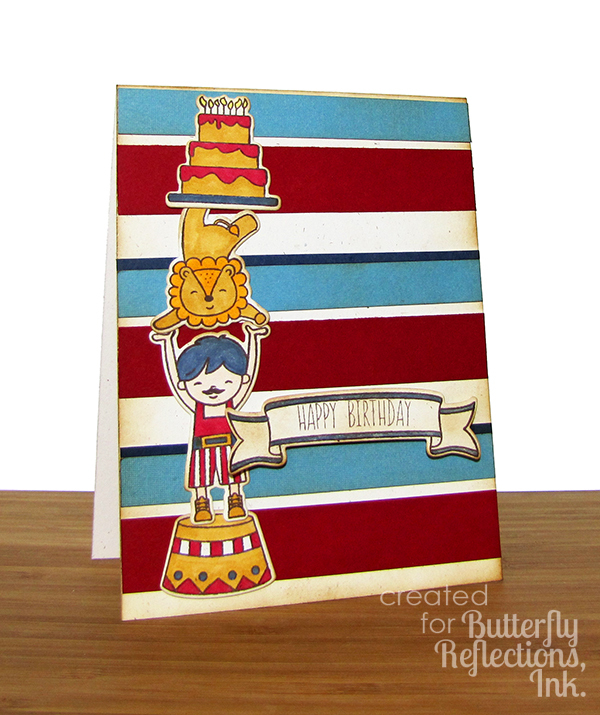 This set from Neat & Tangled, Big Top Birthday, is so sweet, it brings back the amazing memories of the magic of the circus. Karen B. here from The Bald Dragonfly, bringing you back to the circus with a fun card that was easy to put together. 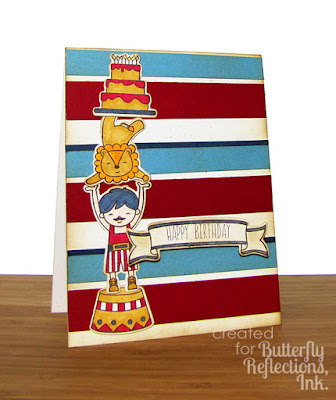 I started with a speckled cream cardstock base with inked edges and laid strips of alternating red, teal and navy stripes in varying widths across it to reflect a vintage circus tent. 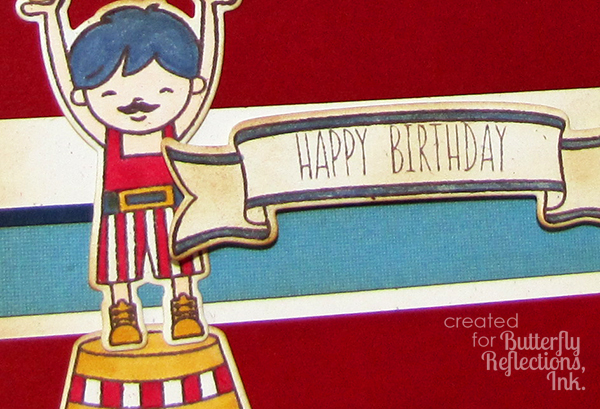 The star of the show, though, are the sweet characters from Big Top Birthday, which I stamped, simply colored with Copics and Zig Markers and die cut using the corresponding Big Top Birthday Dies. I inked these edges and adhered them to the card base. I finished the card with a stamped banner affixed with dimensional adhesive. I think this card would be fun (and you could save a few minutes) by covering the cardstock front with some patterned paper, like the watercolor stripes from this holiday paper pack (get more use out of your designer paper!) or the clean, colorful stripes from this pad. Just a reminder that if you see something that is out of stock at the store, please click the "Put Me On The Waiting List" button so that Vanessa knows you absolutely need this item and can try to order more! Karen, this is stinkin' CUTE!!!!!!!!! This is the cutest circus scene ever! Those stripes pack a lot of wow & your coloring...FAB! What a fun card Karen! I like the images all stacked up and the festive wide stripe background!